'Loving son': Billy Mankelow was attacked in Leeds in the early hours of Saturday morning. Police have charged a 31 year-old man with murder after the death of a 20 year-old student who was assaulted near Leeds Station over the weekend. 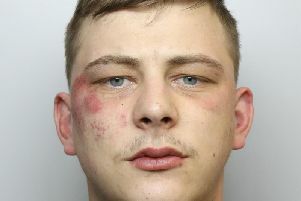 Richard Danter, of Queens Road in Leeds, will appear before Magistrates today (Tuesday). Billy Mankelow, who was originally from Kent but lived in the Hyde Park area of the city, was left with serious head injuries following an attack in the early hours of Saturday morning. He died the following day. Billy’s parents say they are “devastated” by his death. Det Insp Mick Jackson from British Transport Police said: “I can confirm that the man found injured under a railway arch near Leeds station in the early hours of Saturday, 25 April, has since sadly died in hospital.